“I began my teaching career at Riverdale Jewish Day School in 1968, and was part of the faculty the following year when we merged with two other schools to become SAR. 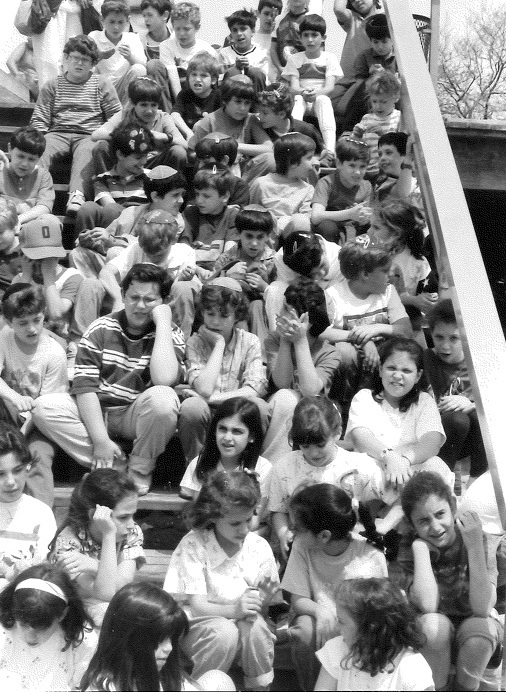 I taught the 7th Grade that year, and recall walking with my class of fewer than a dozen students to the Young Israel of Riverdale on 239th Street as there was no room in the Riverdale Jewish Center for an additional class as the school grew. I had the privilege of working with Rabbi Yitz Greenberg, who was my mentor, and worked with him as I began teaching one of the first courses on Holocaust history to Jewish Day School students. I always loved the end-of-year countdown. Everyone would gather on the endless staircases and count down the last minute of school at the end of each year. It was such an amazing tradition! We all used to look forward to that moment; yet it was also bittersweet when it ended, as we knew we had to wait all summer to be back at SAR.